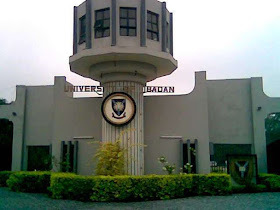 The Senate of the University of Ibadan, UI, at its special meeting held Friday announced a new date for the resumption of undergraduate students. The institution in a statement entitled, “Notice of Resumption of undergraduate academic activities for the suspended 2016/2017 session”, stated: ”The Senate received and considered the interim report of the committee set-up to look at the remote and immediate causes of the May 29, 2017 students’ crisis which led to the suspension of undergraduate academic activities in the university. The statement which was signed by the University Registrar, Olujimi Olukoya, said the Senate after extensive deliberations of the report decided that undergraduate students should return to campus on Sunday, July 2, 2017, to continue the suspended first semester 2016/17 academic session. The statement advised students to report to their respective halls of residence from Sunday 2 July to Monday 3 July 2017 as the 2016/17 first semester examination would commence on Tuesday 4 July 2017 at the various faculties. ”Students would be allowed into examination halls upon presentation of their first semester registration printouts, among other measures put in place,” it added. The school authority enjoined all students to be law abiding and be conscious of the content of their matriculation oaths during the examination and throughout their stay in the university.